My last two blog posts addressed the issue of Grand Challenges in evaluation. A complementary idea: A type of ‘Grand Challenge’ for the profession (or perhaps rather, a smallish yet Important Challenge) is to make sure that outdated ideas die so that the field of evaluation can move forward with greater momentum. 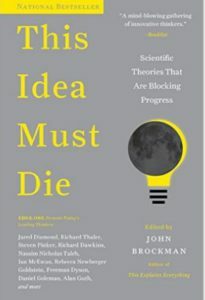 One of the very best books I have read in a very long time is This Idea Must Die: Scientific Theories that are Blocking Progress. It is a thick book with a great format: 1-3 page essays – lovely ‘bedtime reading’ – by 175 of the world’s most influential scientists, economists, artists and philosophers, from Richard Thaler to Nassim Taleb, from Martin Rees to Steven Pinker. It is wonderfully stimulating. Thank goodness for maverick thinkers! How we need them in evaluation! It will be best to focus on “evaluation for development” as there are definitely in this field a lot of sad conventional wisdoms that should die with great urgency. Just think of two terrible ideas that emerged over the last decades: “Best practices” and blueprint approaches to development, in spite of the diversity of contexts in the world. Or the dream of many economists, that “the market” is rational and will drive growth in poor countries without government intervention. How slowly these ideas are dying! Let me know (zenda.ofir@gmail.com) if you are interested in contributing a 1-3 page, very well-reasoned argument for ‘killing’ an ideology, approach or methodology in evaluation – and of particular interest, in evaluation for development. It will be great to have thoughtful perspectives on this from all over the world. And it will be interesting to see whether the ideas originating from the Global North and Global South (yes, I still make that distinction!) will be substantively different. If we have enough, we can publish them one by one or together, and use them (together with the notion of ‘Grand Challenges’) to help our profession do more exciting things. 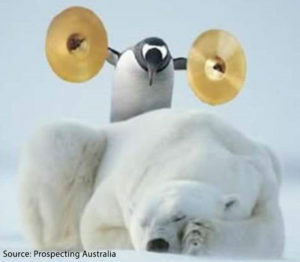 Of course, it will be critical to avoid arguing against something just because of one’s own ideologies or prejudices. The reasoning has to be very convincing. We don’t want (another) bun fight between ideologies just because of the way we have been educated within the narrow confines of some discipline! For example, I know a lot of people who will argue that “RCTs” should be put to slumber – i.e., not quite die, just fade away – so that we can stop the false notion that they present a solution for a vast array of development (evaluation) problems. Instead, we can probably make a very good argument that the idea that should actually die is that development can be based on simplistic (simple, linear) solutions and approaches. In fact, Ben Ramalingam has already done a very good job of arguing that. And I want to suggest a related idea that has to die: evaluating within a simplistic notion of development itself ….